A roof is a lot of things, but to your clients, it’s a symbol of the shelter and security they continuously rely on. It shields them from the elements and keeps their families protected. Because their home and roof is so important, here are four great waus to win roofing clients’ trust. That is to say, clients are wise to check out their roofers and vet them carefully. They do not want to trust just anyone making repairs. They want a roofing contractor they can trust – someone who understands the weather in the region and can make repairs that will hold up against the area’s storms and challenges. So how can you show roofing customers they’re right to put their trust in your roofing company? Be sure your marketing materials – everything from your roofing business’s website to its flyers – set the following credibility-builders front and center. They say a picture is worth a thousand words, but when it comes to photographs of your past work, your clients may need some help knowing what they’re looking at. So educate them! explain how these fragile, buckling shingles have maxed out their life expectancy. roof should last 20 to 25 years, so clients see the benefit of this work. Remember, your clients may have no experience with roofing and repairs, so be sure to explain your work in a concise and easy-to-grasp way. All this legwork shows that you care about the customers’ needs and that you need them to be informed — you are not trying to keep them in the dark so you can upsell them other services. 2. Proudly display your Better Business Bureau rating seal. If you haven’t already done so, look into getting your company rated by the Better Business Bureau. You can learn about the accreditation process on the BBB’s website. Once your business is accredited, you can use the BBB seal on your company’s website and other marketing materials to show customers that you have the appropriate licensure and your business can be held accountable for its work. That may bolster customers’ confidence in your roofing company. After all, most people are familiar with BBB evaluations and might even research your company through the BBB when deciding whether or not to work with you. 3. Offer proof of insurance upon request. The fact that you have roofers insurance – which should include General Liability Insurance with Products/Completed Operations coverage and the required Workers’ Compensation Insurance — should be noted right alongside your licensure and appropriate permits. Why? Having the appropriate insurance policies establishes that you have the means to handle financial setbacks associated with your work. If you construct a defective roof which causes water damage to a client’s home, they’ll want a way to recover those damages. Your insurance acts as proof that you can put your money where your mouth is. 4. Highlight your regional experience. 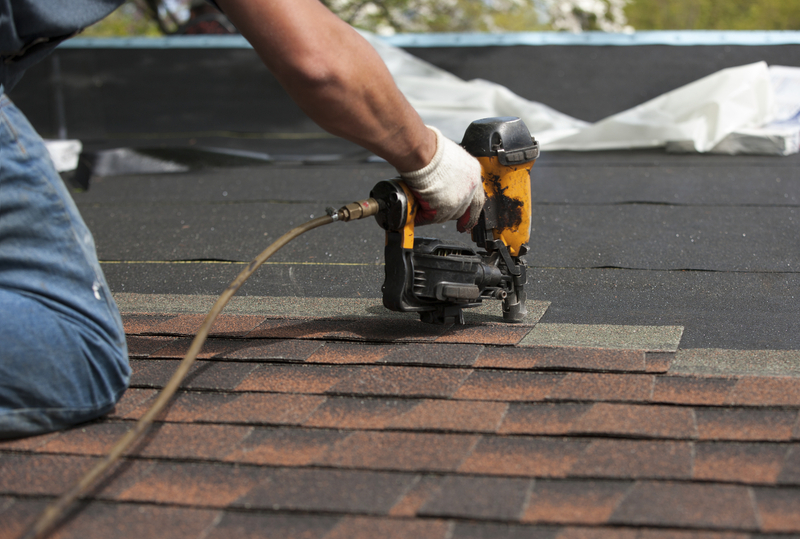 Clients want to do business with local roofers because they understand the region and can make repairs which account for the type of climate the home is exposed to. And when a local roofer is part of the community, your customers won’t think you may be trying to rip people off and run. Show clients that they can trust your roofing company by publishing testimonials from local customers on your website (be sure to get their permission first!). You can ask those clients for referrals, too.